Fabulous winning quilts from the Soul Siam Quilt Contest will be on display. View the quilt show then shop for imported fabric and accessories at the Market Zone. Look for craft kits, quilt fabric, and quilting equipment and accessories from Thailand and Japan. Also good deals on Elna and Janome sewing machines. Sign up for workshops featuring the latest quilting techniques. See you at Siam Paragon – the mall is open from 10:00 am to 10:00 pm. Jill I I will be in Thailand in Oct. to Nov. do they have any quilt festival or any thing going on? Thank you. No quilt festival this year! I don’t know why. There are no plans for a Quilt Festival in 2016, as far as we know. It looks like there isn’t going to be one. When and where will next quilt festival be held? I am from South Africa and would like to visit that time of year. 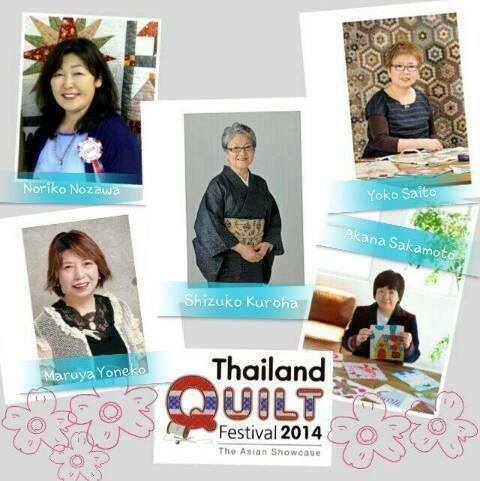 Please write to me the date of next year 2016 Thailand quilt festival held? 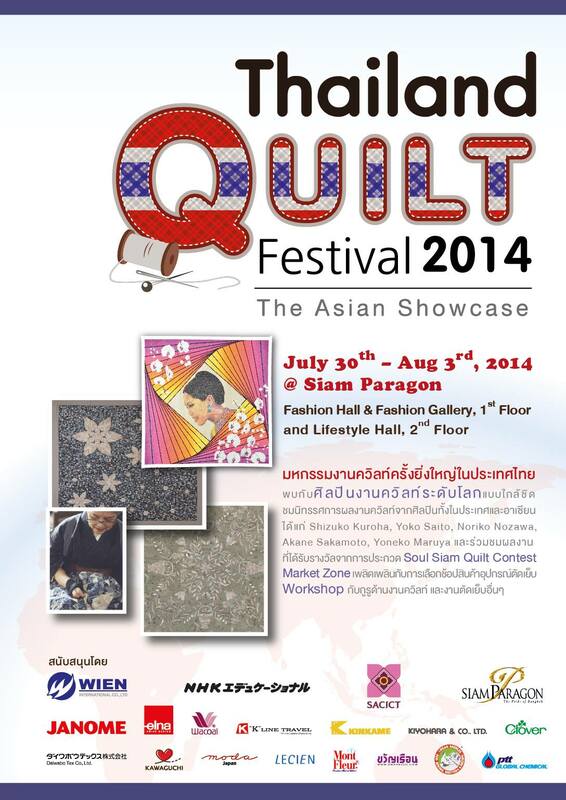 Hi dear, i would like to attend the Thailand Quilt Festival in year 2016. Could u kindly inform me the date held so that i can make booking in advance. Pls write to my email address.